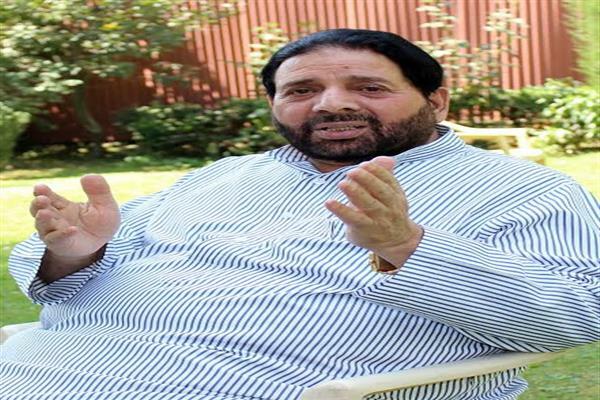 Srinagar, Sep 02 (KNS): Saying that there cannot be any alternative to the elected Municipal and Local Bodies institutions for development at gross roots level, Chairman PDF and MLA Khansahib Hakeem Mohammad Yaseen maintained that safety of people was the foremost priority than holding elections in the state. He has cautioned that the proposed panchayat election process should not become the cause for a fresh spell of death and destruction, given the prevailing grim security situation in the state. In a statement to KNS, Hakeem Yaseen has said that restoration of peace and stopping the ongoing bloodshed should be the first priority than holding of local bodies elections in the strife torn state. He said before the process of proposed elections, Government should first ensure that the precious human lives do not get exposed to the bullets. He said human lives are more precious and important than all other things adding that restoration of peace in the turmoil ravaged state was the first urgency. Hakeem Yaseen has asked all the mainstream political parties and stakeholders of the state to clear their position on the issue of proposed Municipal and Local bodies elections without any ambiguity rather than appeasing the Centre, so that a cautious and clear approach is envisaged in this regard, which could be in the better interests of the common people of the state. “For the time being we can wait a bit for holding elections but cannot afford the loss more precious human lives due to proposed elections” Hakeem Yaseen observed, adding that all the mainstream political parties should, without any ambiguity, clear their views about the proposed elections in context with the prevailing chaotic and grim security situation in the state. He said apprehensions being expressed by the common people and various political organisations about holding Municipal and Local bodies elections in the state need to be taken into account in the larger interests of the country and the state.